In Australia, we certainly are spoilt with the amount of sunshine we receive throughout the year. Whilst this is celebrated and can be one of our countries most attractive features, it also comes with a downside. Not only are the sun’s rays extremely harsh, but its UV radiation also poses the threat of skin cancer. Because of this, protection from the sun is necessary, especially in many courtyards across Australia. I recently came across a great home ideas board on realestate.com.au, that showcased a range of shade structures suitable for courtyards. Taking this one step further, today I thought I would look at some of their ideas in more detail by outlining the courtyard shade structures we have to offer here at Global Shade. We here at Global Shade specialise in shade structure and can offer all the information you need to know to help you choose the best solution for your courtyard. Continue reading as I list some of the best courtyard shade structures available. For a courtyard shade structure that will transform your hot backyard into a cool oasis, I urge you to consider outdoor umbrellas. In fact, I have a couple in my backyard. Outdoor umbrellas offer great shade not just for courtyards, but for garden seating areas, spas and pools also. Our outdoor umbrellas are available in a variety of materials and designs. As such, you will not have any trouble in finding a design that meets your fancy. Shade sails are another affordable and attractive looking solution that can be used as courtyard shade structures. They are incredibly easy to install and can be removed and reattached to meet your needs. At Global Shade, we manufacture our shade sails using PVC or special shade cloth fabrics. Our shade sails offer great UV protection and are available in a variety of colours and designs to choose from. Shade sails are incredibly versatile and they can be used just about anywhere. We have installed shade sails in courtyards, patios, pools and driveways for our customers. For a semi-permanent courtyard shade structure, consider awnings. While the awning structure itself is permanent, the fabric can be removed and this can be very handy in maintaining the structure. Like all our shade structures, our awnings are made out of high-quality fabrics that can withstand rain, hail, wind and the sun. Along with courtyards, awnings are great for shading patios and decks. 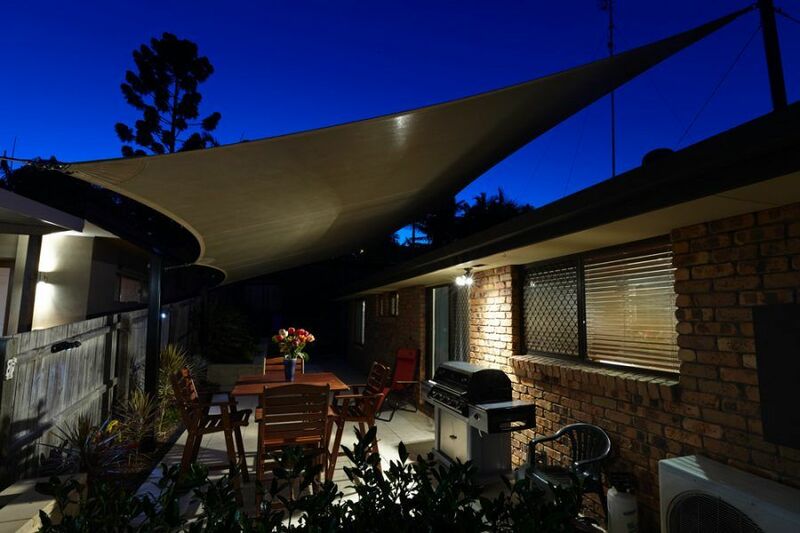 Given that awnings are sturdier than outdoor umbrellas and shade sails, they offer the ability to add additional features such as lighting so you can eliminate your area. Pergolas are wonderful solid shade solutions that work very well as courtyard shade structures. They can naturally blend in with the style and size of your patio deck. You can create your very own pergola from treated lumber and cover it with a shade fabric or plant vines around it. Although this sounds like a DIY solution, pergolas can still look great. And of course, this will cost you much less than manufactured products. There are many types of courtyard shade structures available to enhance your home. At Global Shade, we offer a range of shade structures for patios and backyards. These include outdoor umbrellas, shade sails and canopy awnings to name a few. All these products are cost effective alternatives to permanent shade structures and look elegant and classy as well. In case you want a DIY shade solution, you can even create your very own structure – a pergola. For quality courtyard shade structures across Australia, get in touch with us. We are a reputed manufacturer, supplier and installer of shade solutions for residential and commercial projects.